Ezhov Sergey: it Turns out that these people need to understand that the trusted person is an official status and it actually propagandists for the President, legalized the agitators, they receive a certificate, the right to campaign for their candidate, even a vacation get by law. After the campaign ends, they formally resign. In fact, as we see, they continue to work. Here the disputed question, for the benefit of whom they primarily continue to work, the President or himself. Because, probably, in the period between elections the head of state has less need of their support, there are more they need the support of the President. Here comes time to harvest, spread out over a few months before the election. Who actively campaigned, those, I guess, formally receive preferences from the state, of course. They become, including musical stars, pop, become the stars of state orders, often, by the way, in areas related to his professional activities not related. We can say that, for example, Gennady Khazanov had received large fees for their performances from the state at least in its core activities, and there are people who get absolutely seemingly non-core business areas, such as the well-known saxophonist Igor Butman, who recently joked that he might be, would support the opposition, but he do not pay as much. Maybe with this statement Butman and with the news that the Kremlin is looking for new Trustees, we decided to see how much they need the money to someone supported. In fact, Igor Butman, maybe we missed something out of sight took only what lay on the surface, enough for about half a billion rubles. He is the founder of a new construction company, which was established after the elections, received state orders somewhere around half a billion rubles for the works in Mytishchi hospital. Elena Rykovtseva: I suspect that if you put beside him two lists: agents and the list of signatories for the Crimea, where the intersection will be absolutely total. That is repeatedly proven loyalty to the state observed by these people. On the other hand, these people can say is pure coincidence. On the contrary, we are called to the polls, because we deserved and we are these grants and government contracts, we have them, of course, we receive, because we work for the good of the Motherland, what does the General election campaign. They’re so easy to say, perhaps, and say. Andrei Kolesnikov: Policy exchange are, of course, one to another. Of course, they are iconic figures and iconic from the point of view of mass culture, that is known to all in this country. The sign means that these people support this person. If you support me if you like my work as a pianist, my work as a saxophonist, my work as a satirist, vote for the person whom we trust, who trust us. Completely normal logic, logic is completely conformist, she acted all my life in the late Soviet period. A substantial part of these figures came, incidentally, from the late Soviet Union, they are known for many years. It’s still a line of historical-cultural runs. Generally it is the old story – “with whom you, masters of culture”, the signatories of the letters varied, in Stalin’s time, demanding the punishment of his friends, neighbors in the cottages of the state. In the later period more vegetarian writing. We all remember the letter against Khodorkovsky somewhere in 2005, 50 masters of culture – it was not the only letter. It is, in principle, the state gets for free. Because, as explained by one of the signatories of that letter from 2005, he said, do not understand, I will not call at a Kremlin reception. If you are not invited to a Kremlin reception, you fell out of a community, which is very important from the point of view of professional activity. The Directors of the theaters would say that for us men, for our teams, for our families, for their salaries, we can not be with the government. If we want to see our theatre, we have to be with this power. If we want to, there was a hospital with pediatric Oncology, we have to act for this power. Elena Rykovtseva: the Power until they were cheating, she threw, she had calculated exactly under this contract which she entered into with these people. Andrei Kolesnikov: it is not a pity, when she chokes back his money when she needs the money to distribute where necessary. So money it not very much from the point of view of the Federal budget. Elena Rykovtseva: terms of jobs and so forth, for example, for doctors. Sergey, do you think such a calculation one of the candidates for the presidency, which coincidentally is the President of the Russian Federation, is in the tradition in Russian? Yes, I have the ability to pay, I won, at the expense of a little state. All used, no one is surprised. Sergei Pugachev: let’s Start with the fact that it is not only the Russian know-how in the world is this story using famous personalities that somehow campaigning for candidates is absolutely fine, recently saw it in America. As for the orders, payments and other things – this is to some extent the Russian know-how. By the way, what is very interesting is that most of those showed in your video except for the singer’s grandmother, all the others I know very well personally. Not shown yet Gergiev, I don’t know, he was a confidant or not. Elena Rykovtseva: It’s always been. Sergei Pugachev: a Good example. Yuri Bashmet, I know him very well, since the early 90’s, he told me: “Look, we staff. For you we are musicians, we the staff”. Gene Khazanov I know very well, a very long time. He served the government in Soviet times, he served the government during Yeltsin maintains the power during the Putin. If Navalny wins, will serve the Bulk. Elena Rykovtseva: In General for this reason, that they are loved and popular, invites them to his President, and then a little calculated. No one, probably, will not upset that Nadezhda Babkina received the theatre the next. Sergei Yezhov: grandmother With a very interesting story, she is Director of the State theatre of Russian songs, as Director of the theater she is at his order, made an order for services in the field of performing arts. She spoke, and the customer, and the executor of the state order. Elena Rykovtseva: It’s absolutely wonderful. We’ll see how Muscovites answered the question of how they relate to this method of calculation. Elena Rykovtseva: it’s amazing that so many people think that you must pay for loyalty because it is the basis of the state, if not pay people, they will not support him. Andrei Kolesnikov: This brand thinking in the spirit of the social contract, the social contract, in exchange for loyalty, let’s say, the state should pay for some public services. Normal people understand this. We have now done together with the Levada center at Carnegie all-Russia poll of the population about how it looks on all these things. The question was: are you ready to improve the quality of life to drop some social benefits? Or to improve the quality of life in the future to agree with raising the retirement age? People are not willing to give neither that, nor another, catastrophic figures for these ideas. But when we are talking about it is, it’s not such paternalism is the notion that the government still has something to give the citizens a black sheep, from that state, although a tuft of wool. It should, because here we squirm, we get enough and so on. When it comes to that are you ready for a better quality of life to the fact that unprofitable businesses will be closed, there’s almost fifty-fifty. People understand that the economy should develop in a natural way, not so paternalistic oriented the people. So there all different. But the state should provide what it should provide is the simple truth, understand it, and liberals and conservatives, socialists, Communists, and anyone. Elena Rykovtseva: it Turns out that elections would be costly. You said that a new set of Trustees, which will be completely new, not the ones who have already received their prizes. It turns out that this is the most expensive on the amounts being invested in payment loyalty, the most expensive candidate Vladimir Putin. Andrei Kolesnikov: This is not a contract with the people is contract with the individual characters. This is a specific loyalty can be called, not the criminal law sense be called corruption. Ezhov Sergey: Here we need to understand what is actually paying with their proxies not Vladimir Putin, and we’re paying the price. Fosters paternalistic attitudes that our budget consists of neftedeneg, but actually it’s more than a third of VAT. I spent September in your personal experiment, collected all receipts from stores – it was very tiring. I counted how many I have listed to the state in form of VAT – for one month I got more than four thousand rubles. So do all the citizens of the VAT incorporated in the price of goods. The state is not the only oil, it feeds our natural desire to eat, is no less a resource than oil. Thus, we replenish the state budget, thus the price and with grandmother, and with restaurateur Arkady Novikov, and all other Trustees, including those who appear in our material. We actually have the material picked stars known, public. Five hundred confidants, about all I will not write, but if you take business, then, of course, businessmen also, who were the Trustees, become more successful in public procurement. Indeed it can be called institutionalized corruption. Elena Rykovtseva: Sergei, have you noticed this trend that the businessman close to the government, to elections, to Vladimir Putin, the somehow, better get it with tenders, public procurement and so on? Sergei Pugachev: You know, the fact that proceeding from the thesis that since 1999-2000, when the first election campaign of Vladimir Putin, it alone was not the elections and there were not any before or after – it’s all a kind of show, I don’t even know for whom. I’m not even sure that the people of Russia, because it nothing gives. This can be done very simply and cheaply: will the Chairman of the electoral Commission and declared that scored 95%, that’s all. With regard to Trustees is a kind of the tip of the iceberg. Of course it’s clear that there is a inner circle of Putin, have government contracts, not government contracts. I still would not agree with the thesis that the state pays pay people. Putin pays them specifically. Because Putin believes he owns it all, it all belongs to him. You believe he has no idea what he is paying money to some taxpayers. It’s such a beautiful theory, she could be in America or France, but Russia is absolutely no one else cares. By the way, a question to inhabitants of Moscow, in my opinion, was put incorrectly – do I have to pay for loyalty. Just talking about something else was, I thought, people don’t quite understand what it means. One citizen said, what is this loyalty, how to measure it? But it was a question of loyalty the Trustees. Some completely insignificant crumbs from the table of the Emperor, which feed on these people. The real money is divided between his closest friends, former associates in the KGB and other. If you look, starting with the former Chairman of the Railways and ending with anyone, people never done it, today, they lead giant corporations. Take the same of Miller, what he related to “Gazprom” had ever, however, the largest of the Russian Empire, it is headed by, of course, in Putin’s interests, not the interests of the citizens miserable. Elena Rykovtseva: There is another twist with this theme, it is more complex, and as it goes the service is not of interest and no thanks to a particular private person Vladimir Putin for what he won, as it were, in the interests of the state purchased the sympathy of the Western partners. There is an article very interesting, wrote the political scientist Alexander Morozov, he analyzed how much money the state allocates to gain the loyalty of businessmen, politicians certain to get such a loyal community of foreigners in relation to Russia. Andrei Kolesnikov: This is a long-used instrument – farming lobbyists outside of our homeland. It is almost the only our soft power. It’s almost a pointless operation from the perspective of soft power is political, we are extremely unattractive in that sense. These are all gatherings of people who came specially to meet with the President, with the help of this tool, for example, the Valdai, Valdai forum, a narrower meeting with the same pretty old, philosophers and political scientists from the West, all this was intended to show that we have an impact on the West that we have soft power, in the hope that these people are well about us will write, they have some credibility, some weight. Another conversation that their political weight in the Western world the political is very specific, because they either hold for the leftists or right-wing, or they are not very reference in the academic world really is. There are a few more sites, in addition to “Valdai”, but “Valdai” is certainly the most noticeable. Another tool is a business. Here the effect is more successful because if you don’t have a lobbyist of some of the shredder, something you can achieve. Schroeder is a figure too large, there is a much smaller, more efficient in a number of industries shapes that can lobby in a purely business sense, the Russian business interests, especially the state, because we are speaking in Marxist terms, in the system of state monopoly capitalism. And all these businesses that are relations with the West, is primarily a state monopoly business, it is not the small and medium business, which squirm and suffer in conditions of a weakened competition. Met Putin is now with German businessmen: come on, we’re fine, perfect conditions, I’ll create the conditions. This is my country, I am the guarantor, I own it, want it, who give preference to and give how of these craftsmen. But this does not mean that we have the investment climate. Voluntarily no one will come, who made it to Putin, he will not receive anything here, he will have problems in a specific way and applicable law. This model of ownership, when “property” is equal to “power”, it exists in Russia for centuries. There is a place in the letter of Ivan the terrible to Prince Kurbsky, who escaped, as is well known in Lithuania, says irritably: you have it in other countries the nobles to decide what to do, and we have sovereign control of his government. So it is for centuries, the sovereign and owns. So Putin is living in the same model of Ivan the terrible of letters to Prince Kurbsky. Elena Rykovtseva: Sergey, how successful do you consider lobbying the state for the purchase of sympathetic Western businessmen, partners? Take the same Germany, there are people who never, categorically will not go to the lifting of sanctions against Russia, while she does not fulfill the conditions, and there are businessmen that say us to trade more profitable, let’s get, these businesses are considered to be more or less associated with the Russian government. Sergei Pugachev: I will say from my own personal experience, I do not agree with Andrei Kolesnikov. That’s all these stories about businessmen, and so forth, you have to understand that when Russia is on the list with countries such as Iran and North Korea, any preferences of the owner of the Russian land – they have no influence, they do not matter, no one wants to invest. I have extensive experience in this sense. That is, I have this topic in General would not be affected. What you’ve seen billions of investments in recent times, whatever was proposed by Russia in exchange? Nothing we haven’t seen. Russia is in serious condition, the country is under sanctions, continues its hard-nosed policy in Syria, Ukraine, Crimea and so forth, it’s understandable, talking about this soft power. As for the Union of compatriots, and so forth, really a huge number of people in the West, I as a citizen of France who lives here long enough, since 1994, I would say that I have met these kinds of people. First, that there are people wealthy enough and secondly, people who go into government offices and so on. So this is not some marginal people like marine Le Pen, which just came and got a loan for his campaign. They actually perform the role, as is customary in Russia to call the fifth column, but actually, oddly enough, and ironically, it’s the people who partly, perhaps, descendants of former emigrants, which are connected with many people since their studies at universities and so on – this is quite a serious lobby. This is from the Russia Today, the people who are watching these channels, they don’t affect anything, rich people, influential people in the West that people occupying certain posts, even communicating with these people, which Putin collects, they handed out Russian passports, ready for anything, many times a year with them, with someone going in the Kremlin roundtable, when they were a hundred people, and someone is going, relatively speaking, at his dacha. There are bankers, I know there are so many different people. They genuinely relate to what is Russia and the EU, they oppose the bureaucratic EU is very simple control path, when there is one person, as it seems, it is all about. Sure, they get a preference, they get money for it, the people and the place funds. I’ll tell you the example of the UK. Imagine living in the UK 300 thousand the richest people of Russia, I’m not talking billionaires but simply the richest, live their family, they bought apartments, they communicate with lawyers, deputies, anyone. Do you think this does not impact on Britain and on British politics? Of course, this is a huge impact. Elena Rykovtseva: I was wondering who agrees to such conditions to deal with Russia and who is not. That is, agree to those to whom it seems convenient. People ordered, he gave, he is the king, I trust him. We’re in such a relationship my own way, I know he is the boss here in the country, so I’m going to the Russian Federation, bring their business. Although people like we understand a bit more lobbyists that tell us that this business is given to the Russian Federation. That is, such purely contractual history. Andrei Kolesnikov: it is difficult to argue with Sergei, he knows the nuances. Just measure the degree of influence in some calories, in metres, kilometers, even dollars and euros, probably difficult. Another conversation that way like a strong Russia is really attractive for many immigrants, I all the time, not only immigrants, but also citizens of France, America and so on, who say Putin is a strong leader. The concept of “patientenstellen” that emerged in Germany, “putinomania” is also a new phenomenon. A lot of people, they vote behind those parties who mainly appeal to our authorities. I don’t know how many Russians voted for the “Alternative for Germany”, the proto-fascist party, particularly in East Germany, experts say that there were many Russian Germans who see the power of the state, so you can see the efficiency of management and so on. Elena Rykovtseva: And who believe that this is a strong state, Russia . They were able to convince them that it is a strong state. Andrei Kolesnikov: Bad form to refer to taxi drivers, no matter where you go in Washington, in Geneva, is he driving you: Russia, Putin said. Putin is a man he so well manages your country, not what we have. Elena Rykovtseva: It’s so early in Kiev, said taxi drivers had dreamed about Putin, but very quickly they recovered, recovered, in 2014 I can’t hear. Sergey, let’s open the secret, because I write the producers that one of the members of your list who agreed to speak with you live, switched off his phone and he is not available, we will have to say his name is Sergei Markov, a confidant of Vladimir Putin. You will have to account for him yet without him, what he’s got. Ezhov Sergey: I can only sympathize with Sergei Markov, because the rest of the Trustees Sergei Markov is actually received from the state not so much – only 18 million rubles. Elena Rykovtseva: We need to cry right now over the fate of Sergei Markov. Ezhov Sergey: Maybe he’s just bad campaigned during the election campaign, but he will have a chance in this election. Andrei Kolesnikov: It’s just not a singer. Elena Rykovtseva: Not a singer or a bad singer. Ezhov Sergey: actually in a situation with Sergey Markov, I see, of course, a conflict of interest. I do not presume to judge his professional qualities as an analyst, researcher, it including taking orders for the conduct of all studies, the organisation of the forums. When people participate in the election directly as agitator, and then receives a state order for research from the state, I see here a conflict of interest, of course. Elena Rykovtseva: It receives from the state order to study the agitation of his own. Ezhov Sergey: Its independence is in question, including as an analyst, researcher and so on, if he is involved in the campaign as agitator. By the way, he’s not the only one of its kind among political scientists and political strategists. We had including a study that concerned the scientists, who conducted sociological research, for example, to the Moscow authorities, it just so happens that these sociological studies were conducted in parallel so that the same spin doctors worked for candidates from “United Russia”. It can be assumed that this payment option actually work their campaign – the implementation of public procurement in sociology. We have a “Source” there was an investigation concerning VTsIOM, hundreds of millions of rubles, they carried out a sociological study, but use of firms-subcontractors. The subcontractors, for example, the company established by people who work directly in VTsIOM, that is, they manage the budget money. They are from the budget transfer money in itself controlled by the structure of a business and as a subcontractor to perform the work. Generally, of course, the field of sociology, political science, the amounts are not comparable, for example, with the construction business, but there are also a lot of interesting things. Elena Rykovtseva: Even interesting to discuss this turn of the plot, because Sergei Markov, I think he’s not very well satisfied with their quality of service. Because he is too loving, too clearly expresses your dedication and making it too simple. I pay attention for a long time, that is not his name is on the First and the Second channel, because he is very one dimensional, very unique. Markov appears – it means he will scream that the government is all right, that Putin is number one and so It somehow push aside on the fourth button on the third. I have this version arises, which, of course, the state values his services the public interest, but he does it so clumsily that it even embarrassed. Andrei Kolesnikov: I think we gave him too much time. Elena Rykovtseva: Because he was unavailable, we had to compensate for his participation. Andrei Kolesnikov: From the point of view of political analysis of what is in this system people like Sergei Markov, they, first, very different, and secondly, he is from the previous generation, which played a key role in Surkov, one step back you need to retreat, to understand what role he played. It is, of course, not a political researcher, he is a political showman who keeps up with the times then, now may not be compliant, we need some fresh faces. Of course, he lost some orders and stuff. Now other politicians. If we talk about the spin doctors, now there is a brand new wave of so-called Kremlin spin doctors, who very carefully knowing the specific region, working primarily with specific regions. It’s a little bit different profession really. Elena Rykovtseva: all the rest We will discuss later. We have, thank God, Sergei Markov. We have already discussed that with us you don’t want to talk that you promised and threw it away. Sergei Markov: No, I’m just in the gym, there’s music involved, so I didn’t hear the call. Elena Rykovtseva: Sergei, is published in “the Source”, you probably saw her, which suggests that the people who were the Trustees of Vladimir Putin, by coincidence, almost all got some preferences from the state, grants, state orders. In particular, called your Fund that has not received the largest amount of 18 million rubles, but still got it. Sergei Markov: My Fund 18 million? I Fund no, I have the Institute of political studies. Who stole the money from me? Elena Rykovtseva: Now you, Sergei Yezhov, the author of the article, say what it is. Sergei Yezhov: we are Talking about non-commercial partnership the Institute of political studies. Sergei Markov: I understood. It is unlikely that there 18 million. I’ll be honest, I spend my forums, I have almost all grants are tied mostly to the forums. For the last 19 years I’ve spent 38 of the forums, on average they are attended by about a hundred participants, 10 people the organizing Committee consists of 15-20 experts. They are either in the Crimea or in the North Caucasus, either in Petersburg, Novosibirsk and Transnistria. Can you imagine the budget is rather big. We did receive partial grants including from the state over the years, but trust me, most of it was grants from the state, I had to run to, to beg for money from the regional structures. Thank God, the head of the Crimea and the Bank, thank you, this year tightened also gave us an opportunity to do so. Moreover, we provide a very wide range of opinions. For example, this forum was attended by such well-known enough critical people Leonid Gozman. Elena Rykovtseva: We in any case do not discuss the quality of your forums, we don’t doubt that there were invited people from all sides. But the question asked by Sergey Ezhov in its publication: is it a coincidence that the orders, including the state, including the Crimea agrees with you to deal, not with someone, although there are dozens of such institutions as yours, do you think that kind of priority you have right of first night with this forum compared to another person with a different analyst with a different Manager who was a confidant of Vladimir Putin and expressed him their loyalty, how are you? Sergei Markov: some, maybe the atmosphere is, a lot of support to our projects. But nowhere does formally this question is not involved. The point is rather that I’m the first who began to conduct youth forums, so I’m the leader in this direction, so I rather give. Then these “Seliger”, “Territory of meaning”, all this then, they repeat in many ways, my model, of course, something of their own doing, but I’m the leader. Secondly, I’m sorry for the indiscretion, a world-level expert, I acted as the expert of the United Nations in the former Yugoslavia, I have the highest citation index in the global mass media among Russian political experts. I think the power is with great pleasure that gives money to those who are more friendly than those who are hostile, or those who they do not care. Elena Rykovtseva: Sergey, I’m going to ask you an unexpected question, he was not on our program, I’m just wondering: have you ever thought of changing the character, which you would be confidant, or will it be always, all life Vladimir Putin? Sergei Markov: You know, I support Putin, because he holds my program. I have said many times, there are different people who support Putin, are supporting Putin because he is the boss. There is a second who support Putin for the money. I will tell you honestly, such people, even among the very well-known that support it, I personally know. They are traitors, hate Putin, I hate his policies, betray at the first opportunity, but they pay money, they support it. I wholeheartedly support because it makes some kind of policy, I think, correct. I has formulated it, when he came to power, has formulated its essence is to restore the Russian state. If he would do it, I will support him. Elena Rykovtseva: You will not change, in short, you have it remains. Sergei Markov: If hypothetically to imagine that Putin will pursue a policy against the interests of Russia and the Russian people, we will not be with Putin and with the Russian people. But it’s a possibility theoretical, hypothetical and extremely unlikely. Elena Rykovtseva: the Whole issue in understanding the policies of Putin, because, as you know, there are people who think he is pursuing a policy directed against the Russian people. Do you think at this moment that he pursues a policy in favor of the Russian people. No one knows what you will think next, although the policy will be the same. Sergei Markov: What do you mean nobody knows? I can also evolve, maybe I will change somehow. I’m sincere, people treat me different unable to bring a claim, but they know what I’m saying basically what I think. I can say that I don’t like Putin. I think that it was necessary to send troops to Ukraine without a doubt in April 2014, save Ukraine from the current disaster that occurred. Elena Rykovtseva: You amplifier Putin’s policies, you need to do the same thing, only more sharply. Sergey, thank you very much. I’m about the same and described that somewhere you are paying for the fact that you are too sincere, that they are not in the price, such sincerity, such love, I think you have to be cynical with this power. Andrei Kolesnikov: I it is difficult to judge the motives of cooperation with the government, it is difficult to judge the motives of sincerity, insincerity, collaboration, not collaboration. I think it’s just generally not worth discussing. Elena Rykovtseva: It is a very interesting topic, who likes the power of the soul, and who is not from the heart. Sergei says that there are, I’m just in shock from what had heard from Sergei Markov, that is, someone who likes Putin for the money! What is this stuff, what kind of revolution we live in? Andrei Kolesnikov: I would say briefly that very often the support for Putin from the heart coincides with the support of Putin for the money. Elena Rykovtseva: most Likely. Sergei, you were a friend of his from the soul, did you consider that your preferences, which you at the time received, is exactly because you showed that it’s an honest relationship, a good, friendly relationship with your side towards him, you loyal to him, and why? Sergei Pugachev: absolutely not. First, I have no preferences from Putin did not receive. Actually, going back a little bit ago, this discussion confidants and other things is a pure business, this kind of show. It is organized on a secondary level, people receive money for it. Question: do you believe that in Russia there are elections? Do you think Gennady Khazanov will affect someone, they will go to the polls, and if he doesn’t they will come and Putin will lose? This is absurd, we all understand that. As for Markov, I think he’s just incompetent, he allowed himself to statements which allow in some way so to speak. This story is about Ukraine, about the fascist regime, the whole story is known to all. As for preferences, from Putin, I never got them. When Putin arrived in 1996, that is, I had everything and he had nothing. Helped him get to the Office of the President. What do you think I in 1996, thought that Putin will become President in 2000? Of course not. The friendship I have with Putin, too, was not a close relationship, which was tied to the fact that Yes, I was in the inner circle, the inner circle, if that circle can be called, in the small number of people around Yeltsin at the time, when in fact was preparing a coup in 1999. Elena Rykovtseva: in short, we can say that rather he gave preferences? Sergei Pugachev: Yes, of course, received. Starting with the fact that I offered as a candidate for the presidency, when it was determined that the next President will, of course, without elections and Trustees will be Stepashin. But it so happened that I have suggested Putin. Subsequently, a lot of such things that Putin got me. But he paid me not quite so expropriated on $ 15 billion of property and all. The more to do with him nothing, all of it collapsed, given the more and penalties and other things. Now, as you know, there is a Tribunal, I think we’ll figure it out. Elena Rykovtseva: Not the first Tribunal, hopefully, not the last. Please your comment about this remark: why Khazanov Putin, his still gonna choose? Sergei Yezhov: the Widespread belief that we have no choice, it’s pointless. When talking about elections, it boils down to whether to admit candidates of the opposition before the election and fair count of the ballots. I think the issue of money is not less important for the fairness of elections. If, for example, Gennady Khazanov invests in the election campaign of the candidate their personal authority, then, for example, businessmen are investing very different their savings, they accumulate not the authority, and Finance. By the way, “the Source,” before a single day of voting has analyzed the pre-election funds of candidates in governors, it became clear that candidates from the “United Russia” is three times greater campaign funds than all other candidates combined. This financial inequality, even if we imagine that all candidates admitted honestly counted ballot papers, financial inequality impedes fair elections. Naturally, those companies that make donations to campaign funds are the main candidates for Governor, then are gospodarczymi. 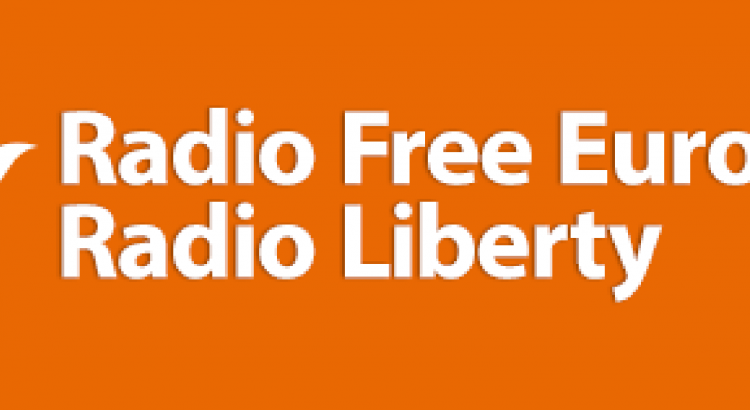 Elena Rykovtseva: we at Radio Liberty for many years was a transfer of “press Hour”, which was transformed into a “Face-to event”, consider that we remembered our old program “Hour of the press” and dedicated this show to the publication of “the Source”, a very good and interesting. Actually sometimes it is better to read than to speak.